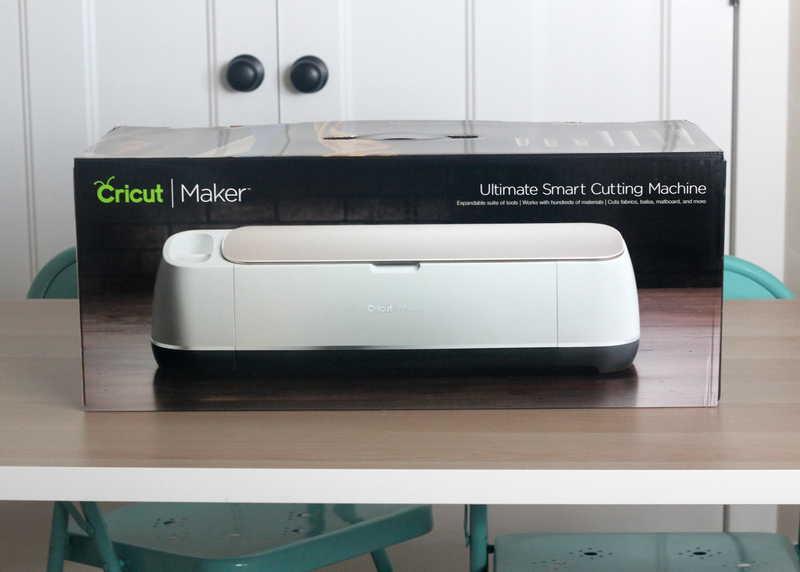 Home / DIY / WHAT MAKES THE CRICUT MAKER DIFFERENT FROM ALL OTHER CUTTING MACHINES? A few weeks ago I attended the Cricut Mountain Make A Thon, here in SLC, UTAH. The event was all about the release of the new Cricut Maker Machine!!! When I found out there was going to be a new machine, I was so excited!! Little did I know how amazing this machine was going to be. The things this machine can do are absolutely amazing. 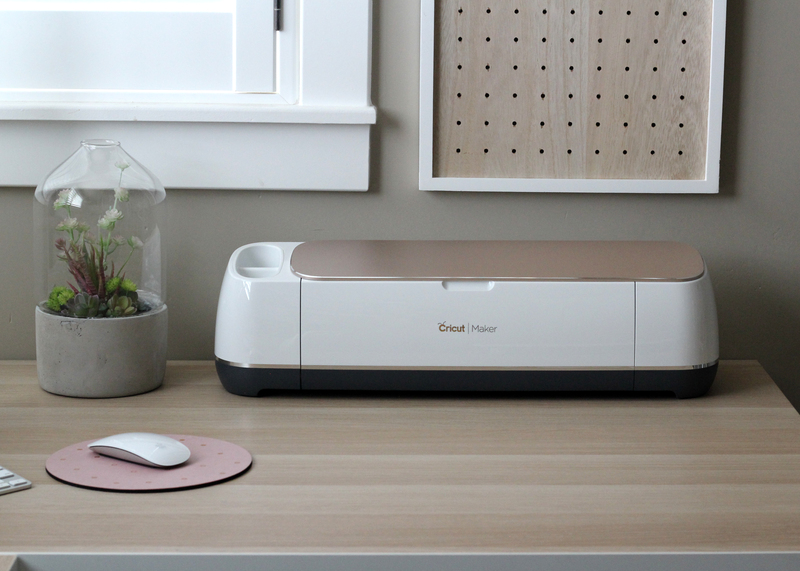 The team at Cricut has spent 3 1/2 years developing this machine and making it the most amazing machine on the market! The new Cricut Maker has 10x more power then the Explore Air series and 2 new blades. The rotary blade and the knife blade. The new blade tools work on a gear allowing them to work in a 360 degree motion.The Combination of the new blades and power,means we will now be able to cut hundreds of different materials. 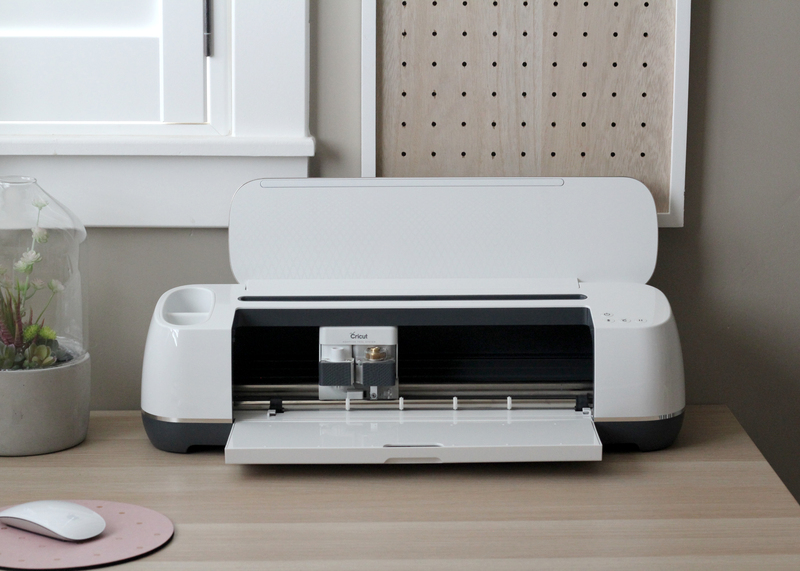 Cricut has partnered with Simplicity to create patterns that will be in Deisgn Space. 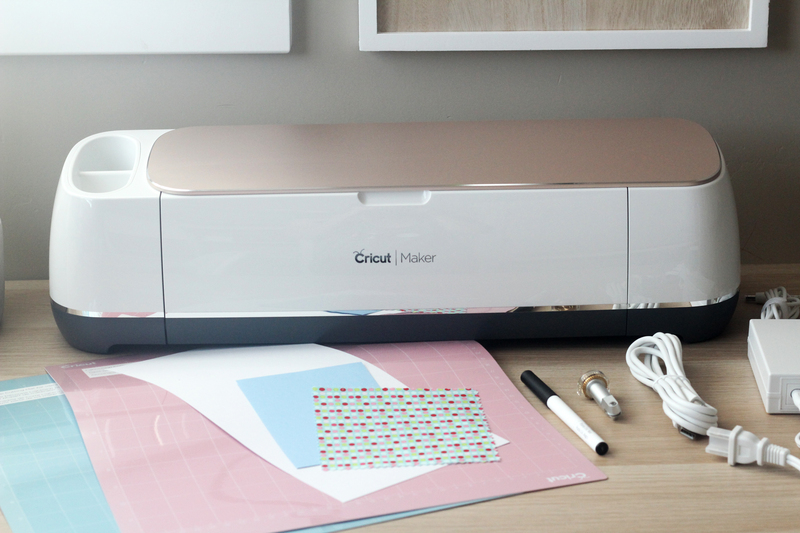 The Cricut Maker machine will cut out your patterns in minutes saving you so much time. 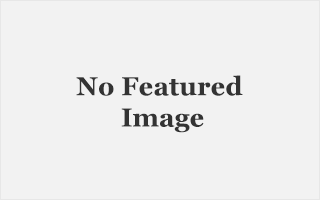 ROTARY BLADE– Holy smokes you guys whaaaat!!!!! I cannot believe this. The rotary blade is a game changer. Different from the old blades this rotary blade has a gear on top. This feature allows the machine to have a 360 degree capability! With this new technology the machine can control which direction the blade is facing and how much pressure each material needs. Since the Cricut Maker has 10x the amount of pressure then the Explore Air machines had, we can cut heavier and thicker materials. Make those projects come to life and make your crafting dreams a reality. There are over 200 Different materials that the Cricut Maker can cut. From tulle and crepe paper to genuine leather and terry cloth. This blade is included with your maker machine. DOCKING SLOT – This helpful feature will keep your device in view and out of the mess. Let’s be real, crafting makes a mess. As hard as we try to keep it clean and picked up as we go, it always seems to end up with stuff everywhere. Now instead of searching for the lost ipad or phone under all the paper, you can now place it in the device docking slot. There is even a USB plug so you can charge your device right there on the machine!!!! LARGER TOOL TRAY- The tool tray on the front door of the machine has also been revamped. Now it is much larger then the Explore Air series tool compartment. This is so nice because now you wont have to play Tetris while trying to fit all your tools into the tool tray! Its very nice!! DEEPER TOOL CUPS- The tool cups on top of the machine are now lined with a rubber material. This will protect your pointy tools from becoming dull when you toss them in. The back cup in much deeper then the front one so your tools can fit easily and not fall out. The front tool cup in shallow for those smaller items and makes them easier to grab. Below is a comparison of the maker tool cup vs. the Explore Air 2 tool cup. NEW SEWING TOOLS- The Maker will make sewing projects so easy. 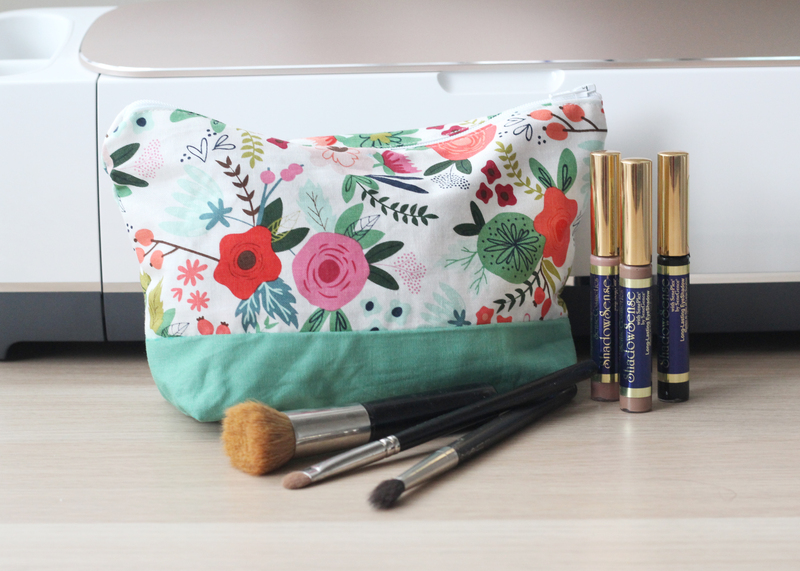 Cricut has created a sewing tool set, fabric mats, disappearing ink marker and designer fabric!!! The marker will mark your sewing pieces with the patterns markings! Cut lines, stitching lines, ect.. The machine even cuts out the notches to line up your fabric!!! WHAT ABOUT THE TOOLS FROM THE EXPLORE SERIES? 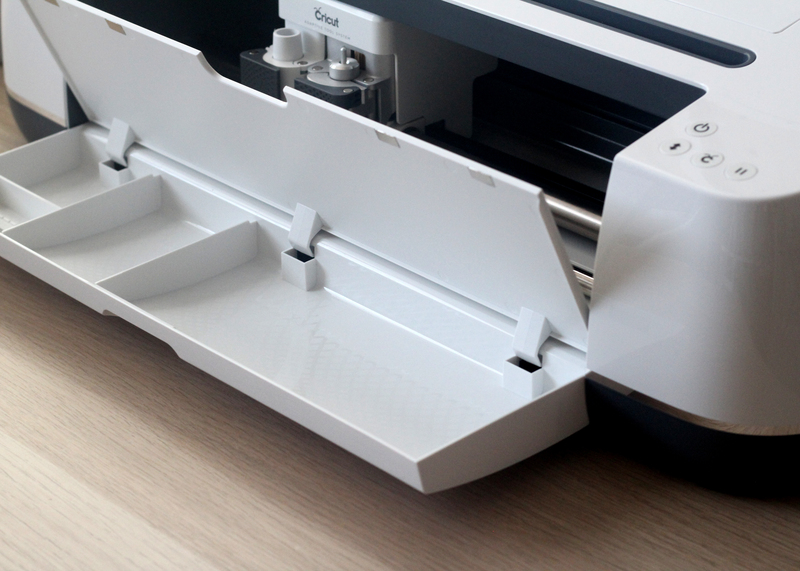 Don’t worry if you have been collecting all the tools, pens, blades & housing, and other tools from the Cricut Explore machine series because this Cricut Maker has an adaptive tool system. What does that mean exactly? 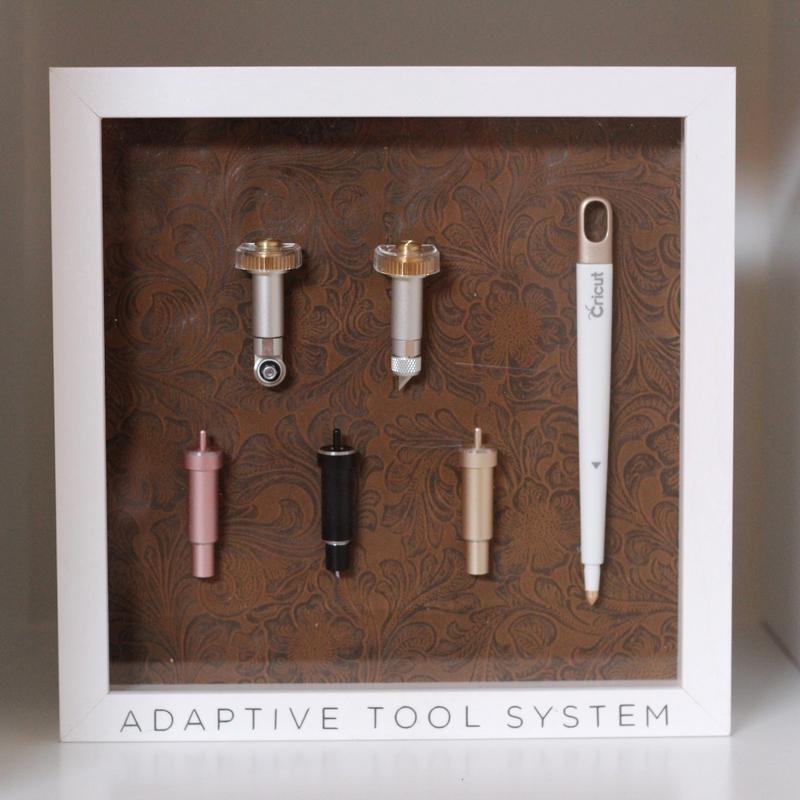 This means that your tools and pens will also work with the new Maker. 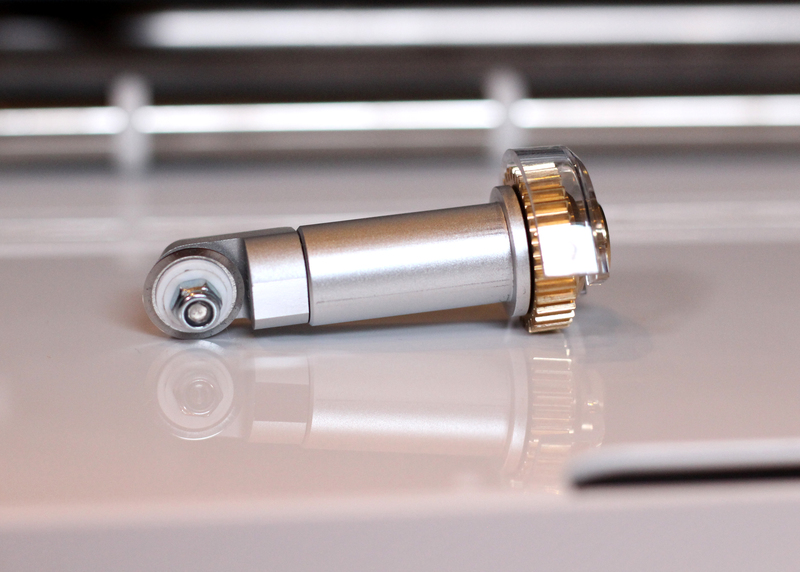 The fine point and deep blade housing still goes into the “B” chamber like it did on the Explore Air Series machines. I am soooo happy about this because I have been collecting pens and tools and those aren’t cheap. In the Image below you can see how the regular housing fits on the left and on the right is the new rotary blade with the gear top. 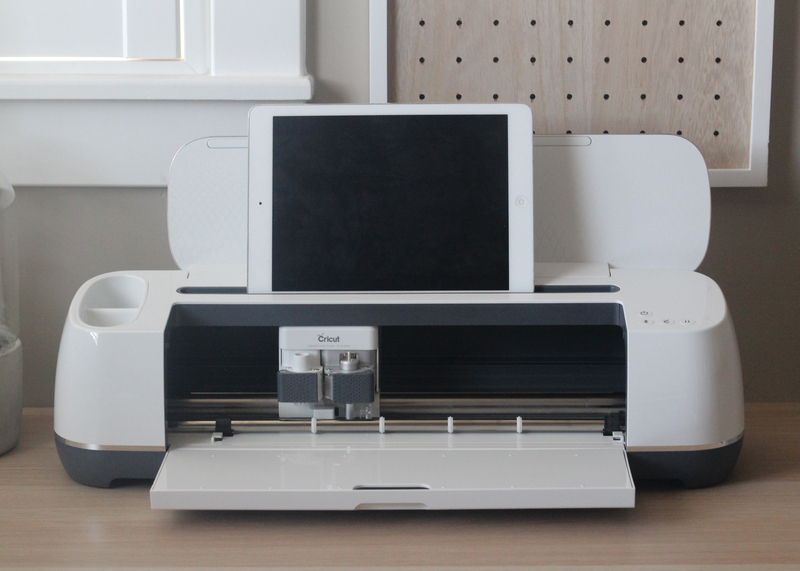 The new tools that Cricut is working on will fit into this machine also so you can just add the new tools instead of updating your whole machine again. Here are all the tools that work in the Maker . Starting from the top left. Rotary Blade, Knife Blade. Second row from the left. Fabric blade, just like other sewing tools, use this blade only when cutting fabric. The blade itself, housing, and mats are all color coordinated so you know which is which. When you go to cut and your choosing your materials, it will also be color coordinated there. You can make sure you have the right material for the right tool. Next is the Deep Cut housing which is the same as before. 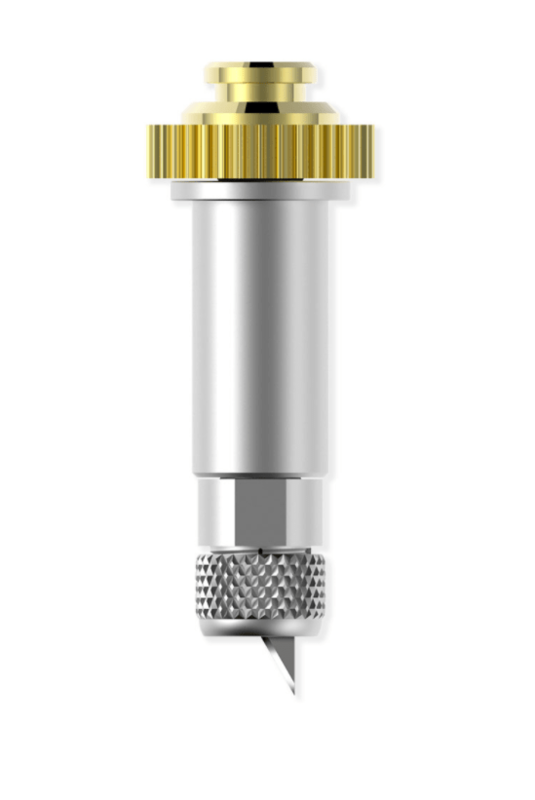 The gold housing is now for your regular fine point blade. I love the different colors so I know what is what. The scoring tool is the same and will work in the new Maker Machine. 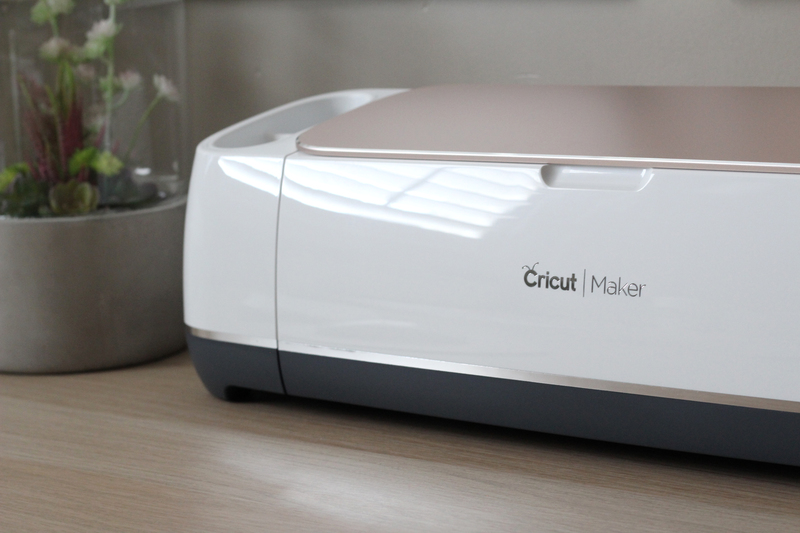 The Cricut Maker just released August 20, 2017. The cost is $399.99 *see the unboxing below to see what comes with the maker. I received my machine yesterday and I could not wait to get it out of the box!!! I wanted to go through the unboxing with you and show you what to expect when getting your maker machine! So much excitement when this baby showed up at the door!!! 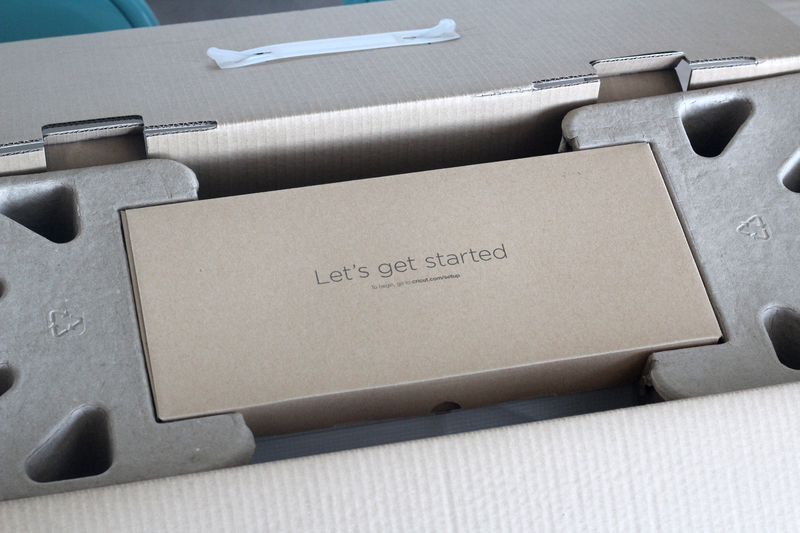 When you first open your Cricut maker, you will be welcomed by a Let’s get started box! Inside this box you will find materials for your first project, the users manual, the Rotary blade (YES I SAID ROTARY BLADE!!!!!) and a fine point pen. Pull out the machine and you will find the 2 mats that are included in your machine. The new Fabric mat and a soft grip mat. The power cord and USB cable for your machine are also included. I love how carefully the Maker is packaged. Time to get the Cricut Maker set up at my desk! Before I even begin can we just talk about how beautiful it is! I think it looks so perfect in my craft room. I love the top. In my room it almost looks like a rose gold color! One of the first things you may notice if you are used to the Explore air 2 machine is that there is no smart dial anymore. The team at Cricut found that all to often the smart dial would accidentally get left on the material of your last project. They made it part of the software now to choose your cutting material before cutting. I was able to use the Maker at the conference a few weeks ago and it just blows every other machine out of the water. I Made this cute little make-up bag and it came together sooo quick. 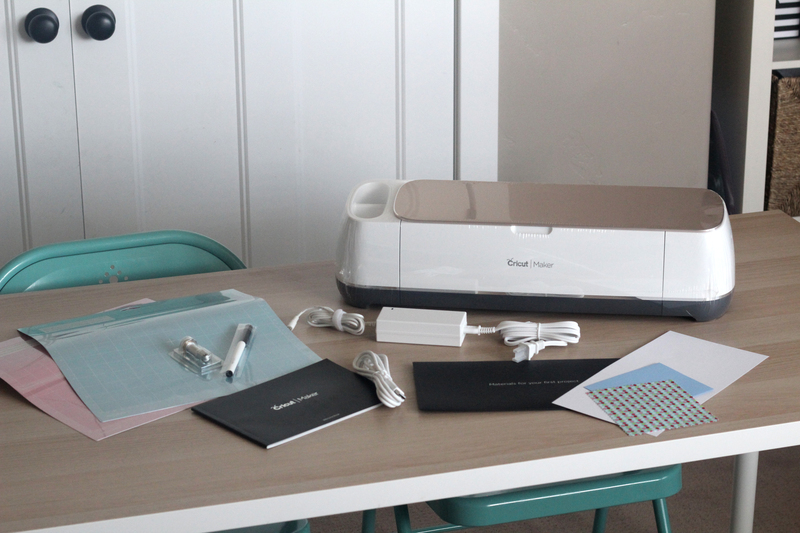 This Cricut Maker is incredible and is going to change the way you craft!! If you dont do much sewing but have always wanted to, this machine is definitely for you! You can create so many custom things or use the Make It Now projects, that Cricut has made for you! I LOVE the Cricut Maker and I would recommend it for sure!! I hope that you enjoyed this post and that it gave you the information you were looking for about the Cricut Maker. If you have any other questions, please leave them below i would love to answer any questions you have. Thanks for stopping by!